Your brakes are one of the most important parts of your car so why take chances on re-built or inferior brake products? Genuine Toyota brake components are designed specifically for your car and built to the same high standards as your original parts. Toyota never takes chances on their quality, so why should you? Stopping is just as important as starting, and our Toyota Service Center in Warrenton, VA is committed to your vehicle's performance. Help your Toyota perform at its best by equipping it with regular service and Toyota parts. Our Toyota brake supplies and parts have been specially engineered to provide superior braking performance and smoother stopping, while producing lower amounts of dust and a quieter ride. Since our brake pads match your Toyota's original equipment quality, you'll receive the same great performance you did the day you drove it off the lot, and your new parts will last longer than any generic alternative. 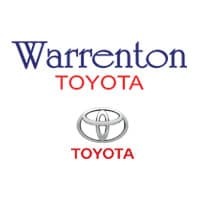 Schedule a Toyota brake inspection, service, or repair at Warrenton Toyota to keep your vehicle safe!